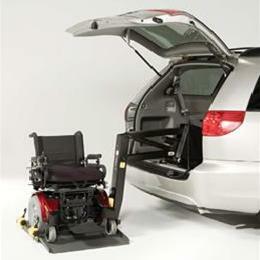 This simple to use product lifts and stores your unoccupied scooter or powerchair inside your minivan at the touch of a button. Simply roll your mobility device on the platform from either side, hit a button, let the Joey lift and store your mobility device for you. Securement belts are included for safety during transport.